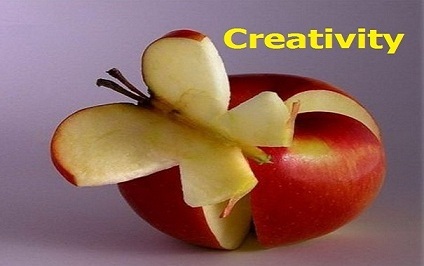 Arabians Team: What is Creativity ? When anyone is looking to make any kind of change in their life, often the approach they take needs to become attractive or appealing in order for them to maintain it and often it may not remain attractive or appealing for as long as we like. I get lots of people that tell me that they find it difficult to maintain enthusiasm or keep on investing the required levels of energy in order to make a real success of a project or a goal. So, for that reason, I want to talk about enhancing creativity today. When you become more creative, you can begin to make more out of your everyday experiences and perceptions of what it is that you are doing, you can make life more colorful and have more fun and joy when you are more creative. So what actually is Creativity? Good question. We can all be creative; "creativity" is about making new connections - and that is literally physiologically true within our neurology. "Creativity" is the mind's growing edge. It often involves a lot of discovery. By creating new connections you build your brain power and developmental and interpersonal flexibility which can begin to heighten your ability to do a huge array of things with more and more ease. Imagine this; every time you link two things together, you create a third entity. That new connection can itself then connect with other ideas, additional possibilities. Imagine the impact this can have throughout a system like your brain! Neil Armstrong first stepped onto the moon in 1965. That event changed our beliefs and thoughts about the universe. It also altered thoughts and beliefs about human inventiveness and skill: this event helped us to recognize that if we want something enough, we can find ways to do something that we may have believed to be impossible before. I reckon this gave may people some powerful and liberating thoughts and beliefs about human capability. I heard on the radio recently that there are also plans to land on Mars now! I always fancied being an astronaut. Being creative on an individual level has the same potential: when you connect things together, you go beyond both of them; and you have the possibility of forming new beliefs about yourself and your potential. I remember when I was first learning about NLP, hypnosis and my other beloved subjects, I was so excited, I would read so much material that I felt like my brain was literally growing and stretching. That's not too scary, is it? there at Wembley Stadium scoring that goal, I am telling you I was there! Children are amazingly creative, each of us has been a child (some still are!). Children show their "creativity" in the way they discover their environment and make their own meanings of it. Many children create new worlds while playing with toys, they don't need elaborate or sophisticated toys, equipment or props, the meaning comes from within them; the meaning comes from out of themselves. You need to give yourself permission and time (and energy) to make new connections and links which is what "creativity" is all about. It is about the process rather than the outcome or the final product. You can be creative at home or at work, when changing habits, updating behaviors, resolving issues, or just making life happier in any way you can. You can be creative with words, ideas, thoughts, materials, food and the kind of fun you have. You can be creative with your surroundings or with your internal world. In addition to this, "creativity" creates something new. That's right, even if every ingredient is already known to you or is familiar. An insight, for example, is creative because the new conclusion is gleaned from the information you already had; it is the new perspective that makes the difference.